Today realizing the American dream is dependent upon some sort of education beyond high school. In order to become college- and career-ready, you need to understand your options and preparing accordingly. Can't afford a four year university? Take college classes for free in high school and earn college credit! Which High School Plus program is right for you? 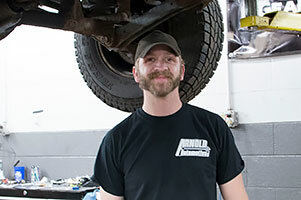 Save the Date: MCC Night, November 12, 2014 from 5:30 to 7:30 p.m.
MCC prepared me for my career in automotive by not only giving me the book knowledge I needed to be successful, but also allowing me enough time to be in the lab, where I gained experience within the industry by using the tools and working on vehicles that are commonplace in today's market segment. MCC wants YOU to Succeed! We encourage MCC students to participate in our many programs geared to help them succeed in college including New-Student Orientation, Convocation, and MCC101. According to Georgetown University study projections, approximately two-thirds of U.S. jobs will require some postsecondary education and training by 2018. Fourteen million of those jobs will be in the middle-skill occupations, filled by workers with an associate's degree or occupational certificate. An associate degree from a two-year technical program may be the quickest route for recent high school graduates to enter a stable, lucrative career field. It may also be the only way to keep up with workforce demands, said President Obama. Project Appleseed - Working Together for effective reform in America's public schools.